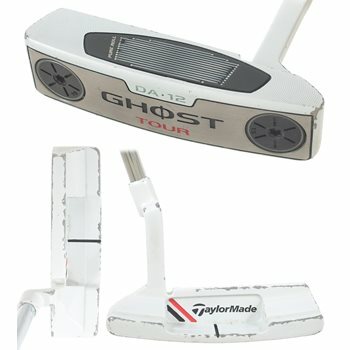 The TaylorMade Ghost Tour DA-12 putter is made from stainless steel and features a richer, more durable white finish that stands out against green grass for improved visual acuity. Its Titallium-alloy Pure Roll insert delivers a crisp, clean feel and promotes a smooth, accurate roll. This putter also features adjustable sole weighting to give the putter head the weight that you desire.